If Netflix, an international streaming service that serves millions of people per day, was to add some video ads to their services like CBC which uses this idea and allows people to watch TV online, they could make a lot of money. YouTube is another example of using ads to allow free access to vast amounts of content. However, it might also irritate some users and cause them to leave the service. Netflix has been around for years and it's become a borderline household name. Some of the reasons as to why it's become popular are because it's provided a cheap and reliable service. It started off only costing around 8$/month. You can get more features for a higher price but the main idea was that you can get a wide range of shows and movies for a low price, ad-free. According to recode.net Netflix has got around 90 million users. That's a whole lot of people. Now let's assume that Netlifx lands a fixed rate pay for their ads. What this means is that they get a flat amount of money for every click and every 1000 impressions (this is known as CPM, which is Cost, Per Mille). In this theory, they're earning 1.00$ for every click/1000 impressions. We must now figure out how often Netlifx could put ads on their service. If they put one video ad for every ten minutes of watch time on a show or movie, it would mean they could reach 1000 impressions very quickly under the assumption that 100 thousand people watched one hour of Netflix per day. Individuals could generate six ad views per hour, that's for one person. So it's around six hundred thousand ad views a day. If Netflix is making 1.00$ per 1000 impressions. This means that a revenue of about 100 thousand dollars could be made daily. That's under the idea that only one hundred thousand people use Netflix for 1 hour a day. The numbers are much higher than that. However, these numbers are fixed and ads operate on a variable rate. 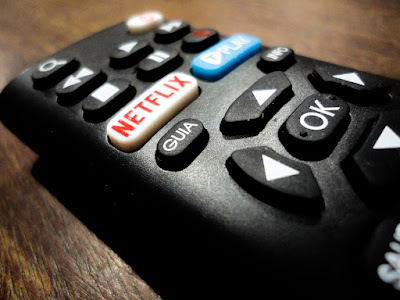 Variable rates are harder to predict and Netflix could make less or more, it all depends on many different factors such as holidays, seasons, the economy and even what website the ads are playing on. This can indeed make some users angry and cause them to leave the service entirely. Some people don't want to have ads shoved down their throat, they don't want to be subject to everything that sometimes comes with seeing many ads that can create needs within the mind. This is one of the reasons why Netflix has become so popular, they don't have ads. They just make you pay a small amount of money each month. A solution to some people getting angry and leaving the service could be that Netflix could offer the subscription to those who would like an ad-free service. Others who wouldn't want to pay for the no ads option could go the route of just seeing ads. One thing is for sure, Netflix would have to block any ad-blockers by not allowing people to view content if they aren't paying and have an ad-blocker on. Either way, it's a dangerous game to play. Netflix was built on the idea of cheap and good content that only required internet access to get too, for only a small fee every month. However, getting ads could increase revenue for the company and let individuals who don't want to pay, contribute to the revenue in a different way, by seeing ads.